An attractive combination of tan mica and silver mercury glass come together in the Santa Fe collection. Each material compliments each other with just the right amount of warmth and bling. 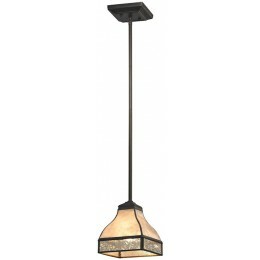 A tiffany bronze finish highlights the fixture's thin lines.